This is that episode when Sheldon is sick and he wants the chick to rub Vicks Vapor Rub on his chest. She begrudgingly does it.. Then, he wants her to sing a song about soft kitty, just like his mom did when he was bedridden. The chick, who’s like his neighbor, and the girlfriend of one of his buds, is starting to hate it outwardly, but you can tell inwardly she’s starting to get turned on by the counterclockwise rubbing motion on Dr. Cooper’s chest. Little bit of intrigue if you ask me. 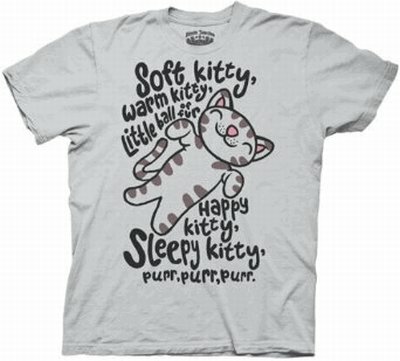 Apparently, this is a somewhat popular episode if TV Store Online created a Soft Kitty T Shirt and there are 1.8 views of that clip on Youtube. 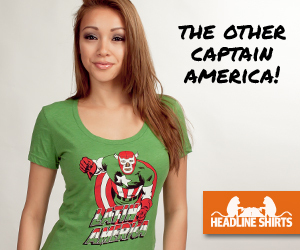 And I’m doing a review of the shirt because, basically, I have my finger on the pulse. And I know her name is Penny and this is a recurring bit, so no hate comments, unless you really need to let something loose. Then, I totally understand. yeah, her name’s penny and thats the episode they’re referring to.